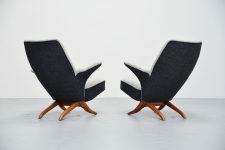 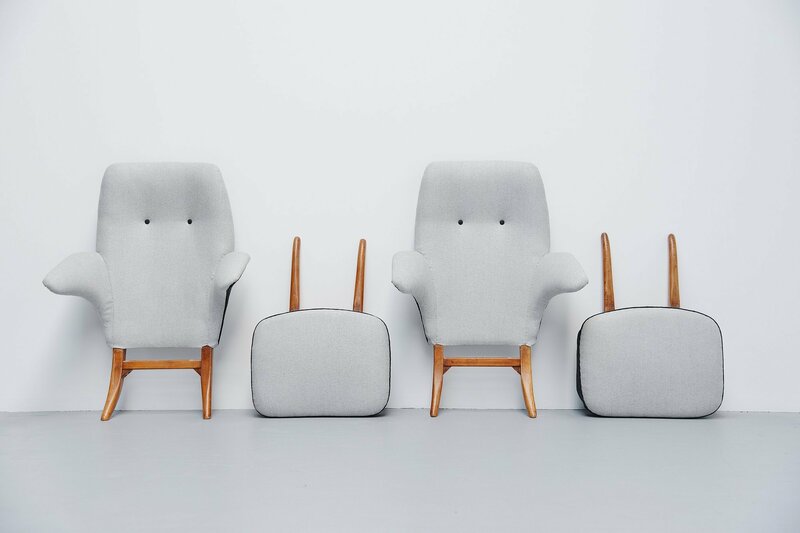 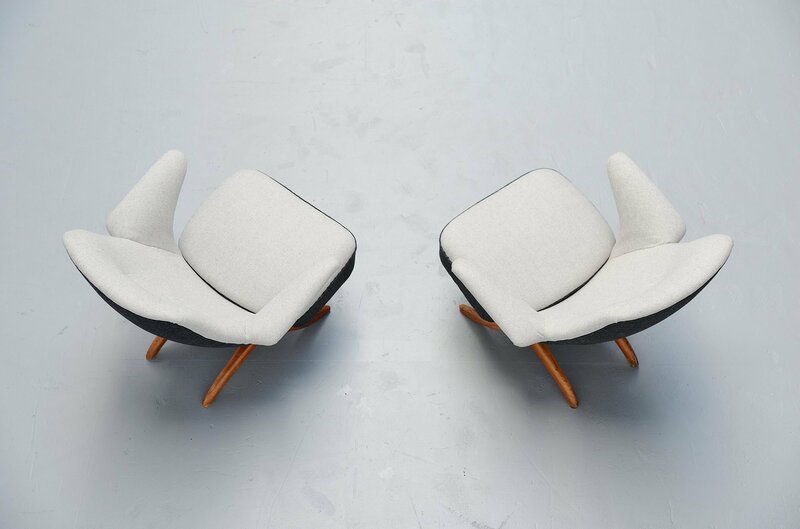 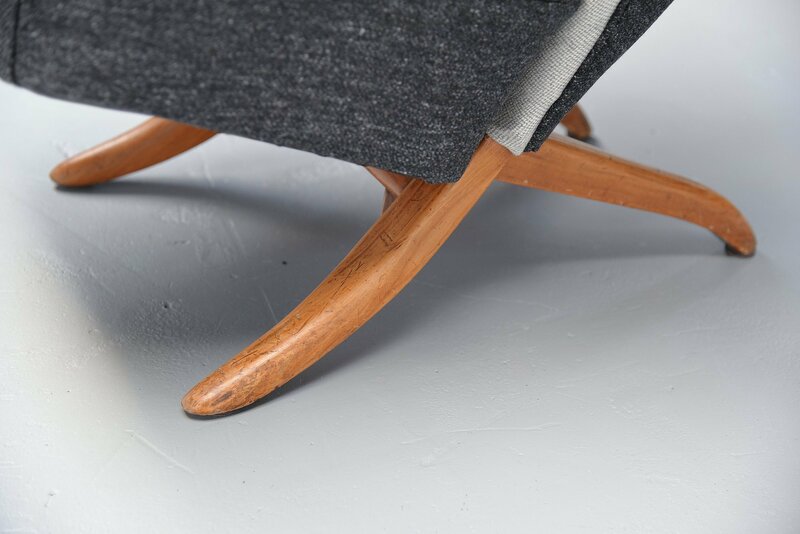 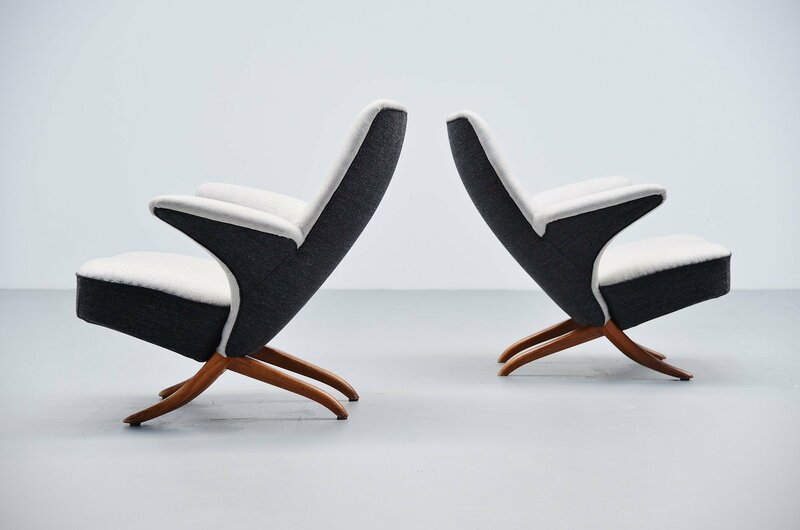 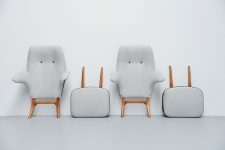 Very nice pair of iconic 'Pinguin' chairs designed by Theo Ruth and manufactures by Artifort, Holland 1957. These chairs have beech legs and are newly upholstered in very dark grey, nearly black and very light grey, nearly white. 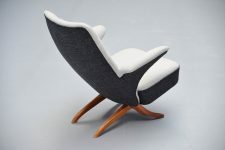 Typical penguin colors ofcourse. 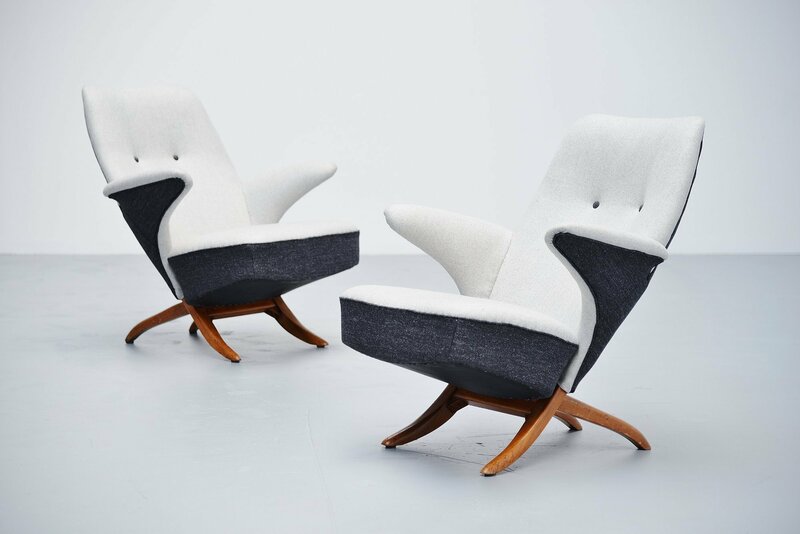 Very nice pair of comfortable lounge chairs in good condition. The chairs exist in 2 parts so they are easy to ship or store.